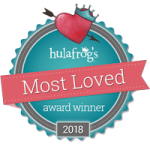 HulaFrog Parents voted and Waverley Oaks Athletic Club won the Most Loved Swim Lessons for 2018! Waverley Oaks Athletic Club is proud to be able to offer youth swimming lessons to our community. This incredibly important life skill is critical for children to feel comfortable and safe in all of their water based activities. Private, Semi-private and Group Lessons are available for children of all levels from ages 3 – 12. We believe that personalized instruction is the key for children to advance their skills. That is why our group classes will never exceed a ratio of 5 students to 1 Instructor. Priority reservations will be given to children who are members of the Club. Non-member requests will be responded to if spots remain available as of April 22nd. Private and semi-private lessons have limited availability and will be scheduled directly with the Instructor. Check back frequently as registration availability changes constantly. Please fill out the information form below and we will contact you as soon as possible.